Welcome back, Omar Gonzalez! 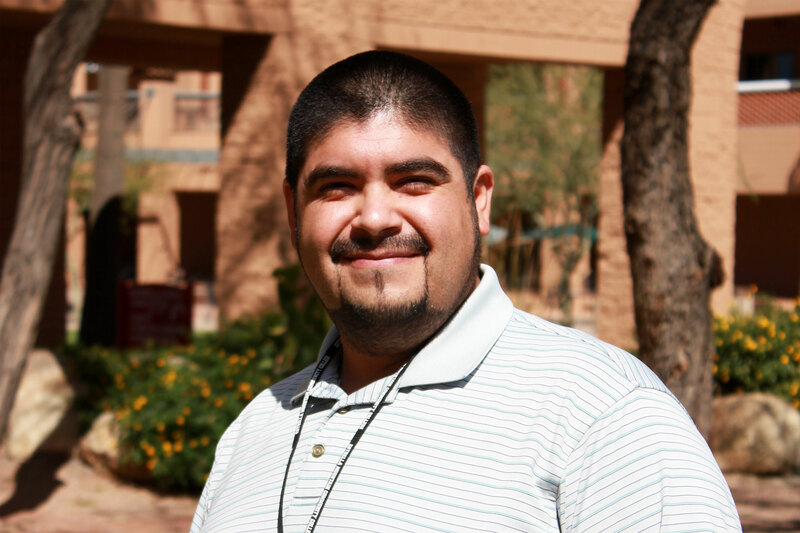 The former Estrella Mountain Community College (EMCC) student has joined the college’s Technology Services Department as a Network and Systems Specialist. “My job consists of maintaining and installing campus software and deploying them to our computers,” Gonzalez said. “I also assist with maintaining our campus infrastructure, including network, servers, and storage, as well as supporting faculty and staff. Gonzalez, whose first day at EMCC was Feb. 19, worked in K-12 school districts for more than 11 years as a Computer/Technology Specialist. He said he spent the last few years looking for an opportunity to move up the career ladder. That opportunity presented itself when a colleague of his recommended he apply to EMCC. It’s been nearly 10 years since Gonzalez attended EMCC. He said the computer and networking classes he took had a huge impact on him and the instructors were very influential and guided him every step of the way. “They gave me a glimpse of what my career can be and now I’m living it,” he said. One of his former instructors, Chad Galligan, is now his supervisor. Now that Gonzalez has returned to the EMCC family, he plans on continuing his education and majoring in computer/network engineering. The husband and father of three girls is hard pressed to single out the thing he likes most about his current position, saying he “honestly likes everything,” but the one thing that stands out for him is that he’ll be part of the team that’s expanding the campus. That includes installing new network equipment and setting up servers.